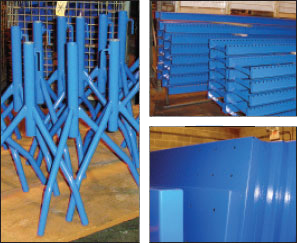 Powder Coating Service - Roll-A-Way Conveyors Inc. 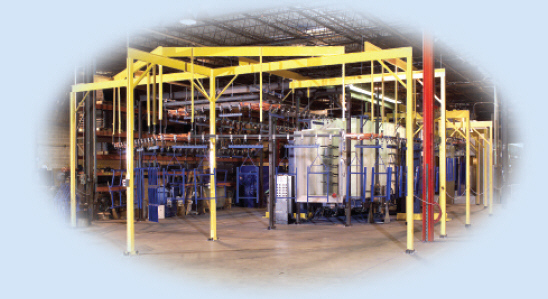 Since 1936 Roll-A-Way Conveyors has been dedicated to producing the most complete selection of conveyors in the world. Today, Roll-A-Way adds powder coating services to its impressive list of capabilities. Roll-A-Way will powder coat for your company and we invite you to have us quote the parts you need painted. The state-of-the-art powder coating system consists of a three stage pretreatment washer and a combination dry-off and cure oven that can reach temperatures of 500 degrees. Roll-A-Way can coat parts up to 3.5’ wide, 6’ in height, and 10’ long in any high volume. The system is entirely automated with American Overhead’s Cableway System, carrying the load at 4.5’ per minute over a 457’ path.